You know your home best, so shouldn’t you have a say in how your decor looks? Floral Home Decor stands out from the rest of the other online retailers because we can tailor our silk flower arrangements to fit your needs. Floral Home Decor offers custom silk flower arrangements, plants, greenery, wall sconces and wreaths that are sure to provide the lasting look that you want in your home or office. What Are Custom Silk Flower Arrangements? 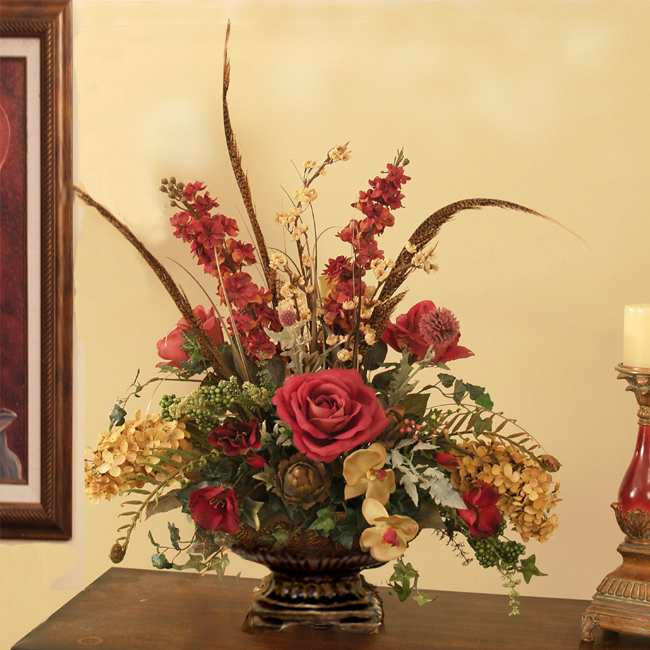 When you place your order with Floral Home Decor we will work with you to bring your perfect vision to life. Typically people think of custom silk flower arrangements for wedding bouquets however our services go the extra mile to include your home. We understand that today’s busy home-owner doesn’t have the time it can take to create a custom arrangement themselves. We can hep you save time and energy while updating the look for your home. In some cases a customer will want a simple change to one of our current silk flower arrangements. This can be something as basic as a different vase or a different color in the arrangement. Other customers may want to create a completely new look from scratch. These customers will usually send a picture of their room. It’s always helpful when starting from scratch that you include as much detail as possible for what you need for your home. Pictures of ideas with details of flowers will also help. Communication is important to us and we believe in working side by side with you to ensure that you’re a part of the process every step of the way. We can even create the perfect arrangement for you as soon as possible with our rush orders! At Floral Home Decor we’re proud to offer this service and love seeing how our creations brighten up the look to your home or office. So browse our collection of silk flower arrangements and visit our Pinterest boards to get ideas, or if you have your idea in mind, feel free to call us today and let us know what we can create for your home.